Amazing and worth the price! This is simply one of the BEST products I have ever put on my hair and is worth every penny spent on it! I totally love it! It is amazing! The whole FF collection for color treated hair makes my hair luscious! I've been dying my hair for numerous years and even when I have had multiple highlights and lowlights in my hair this product line kept my color fresh. My color was far from becoming dull and blah when using this product. After one wash and condition, my hair was shinier and softer. The smell is amazing! No complaints here! I will continue to recommended the FF color collection to friends and family members. It is expensive but it does work and to me that is money well spent. Effectiveness My color stays vibrant and it prolongs the color, too. Not to mention my thick hair is soft, shiny, and manageable. I'd say it does the job and I feel my hair is healthy despite being color treated. Scent I love the scent. It's not overwhelming or heavy. It's rather fresh and amazing! 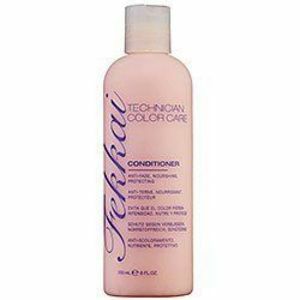 I got Frederic Fekkai Technician Color Care 3-Minute Mask Conditioner in the hopes that it would help preserve my color. I also liked the fact that there were no additional steps other than to wash it out once it had set the two to three minutes, and that you can use this on damp hair as opposed to towel dried hair. What I did not like was the fact that it did nothing to help keep my hair color vibrant and prevent it from washing out. A TON of hair color got washed out when I was rinsing this product which was a huge disappointment to me. It did make my hair feel soft, but for as much color as I lost it just is not worth it. I would only recommend this hair mask to people who have hair color that is not prone to wash out, like bleached blondes, but if you have a bottle red hair color you should probably stray away from this. Effectiveness It was effective only as a run of the mill hair mask, it did not do anything to help preserve my color. Scent I really liked the smell. It was a nice fruity smell. It did not last that long after it got washed out though. I've always been a big fan of Fekkai branded hair care products. 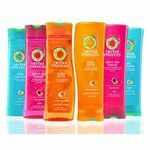 I have tried and loved their glossing shampoo and conditioners and I really enjoy their hair treatments. This three-minute hair mask is no exception. As I had expected, this Fekkai deep conditioning hair mask met and even exceeded my expectations. The feeling of the mask is nice and thick. 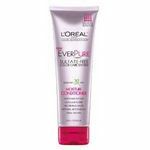 It doesn't make my hair oily afterwards, and my hair is shiny and soft when I am done using it. I like to use this deep conditioning mask twice a week and I leave it on for more than the three minutes it says to on the bottle. It works extremely well with my hair and I just can't touching it after I use this. I have tried many deep conditioners, and I have to say, even though the bottle is small and it is expensive, this is the hair conditioning mask that works the best for my hair. Whenever I go out in the sun now, my friends all notice how unbelievably shiny my hair is. I should start this off by saying that I LOVE free samples. I go on free sample sites and order them up. I love to try out new things - especially when they're free! 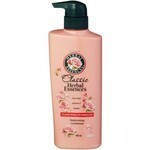 I have stated in another review that I am OBSESSED with the conditioner I use now. After running out of it last week and waiting for the new bottle to arrive, I have been using up my free samples. I color my hair for greys, so I like to use a color conditioner so I don't get all red. Yesterday I tried Fekkai's 3 Minute Mask. I am not joking when I say that half of my office asked me what I did differently with my hair, did I get it cut, styled, it looks great, etc. Wow! Mind you, there was pretty much a hurricane outside yesterday and my hair is curly, so the fact that it stayed straight and smooth by the time I got to work is saying a lot. Today I decided I would try it again and if I got the same reactions, I would write a raving review. Sure enough, everyone is coming up again asking what I did differently. I love this product and I am sad to stop using it once my real conditioner gets here. Maybe when it runs out, I will go try some Fekkai again. Until then. I'll be dreaming about my "new" hair! Frederic Fekkai 3-Minute Mask is not great! I recieved this Frederic Fekkai 3-minute mask as a sample from an order I had placed. I must say I was excited to use it because a couple weeks prior I had recieved a sample for the Frederic Fekkai ironless straightening balm and absolutely loved it! I even loved the smell it left in my hair so I bought the full sized product. I was hoping for the same product with this sample. Having color treated hair I must say I did not notice a difference after using this mask. The only really thing I liked was the way my hair felt brushing it through my damp hair but after washing it out I didn't notice a difference in texture or anything else for that matter. It is dissapointing as I am sure this is also an expensive product. Let me start by saying that I am a professional nail technician and I've worked in salons for over 12 years. After that I worked for a distributor of salon products. My point is that I've used a TON of different hair & nail products over the years. I absolutely love this conditioner. It is a little expensive but you will find you only need it a couple of times a week for great results. I have fine hair but lots of it and very little wave to it. Most conditioners tend to weigh my hair down. This one not only doesn't weigh it down but leaves it ultra soft and shiny. The fragrance is fantastic and very uplifting in the morning. 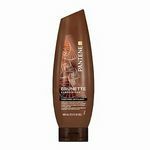 It works fairly quickly for a deep conditioner and leaves hair stronger, shinier and healthier. When I run out I have to go buy it as it is a MUST HAVE product. I seriously need this to make my hair behave. I cannot say enough great things about it. I use the shampoo, conditioner and then this twice to maybe 3 times a week in the summer. Try it, you will love it! Fekkai 3-Minute Mask Treatment is my new obsession! I used to be obsessed with chocolate, and then I realized that it wasn't really good for my rear expansion (if you get my drift). So I decided to turn to healthier products that could not be digested. I received a sample in the mail (I am the sample queen, ask my husband) for the Fekkai 3-Minute Mask Treatment, which sounded intriguing although I'd never heard of the brand - see why you should send samples, people?! Well, this product rocked my world, and after three minutes my hair became more manageable, soft, more voluminous and frizz-free. So I did what any certified American woman would do, and I bought a whole package! I try to use this treatment approximately once per week just to keep the frizz and volume under control. I must admit, the price of the Fekkai stuff runs a little high, so be sure to keep an eye out for a sale (or a coupon, of course, but I've yet to see one, memo to Fekkai). I have since recommended this product to anyone who strikes up a conversation about the weather, so I'd be happy to tell you, reader, that the Fekkai Mask Treatment is a worthy investment and you'll be happy you tried it. Tell you what, start small and request a sample. It also goes well with chocolate (in small bites). A conditioner that I cannot live without. Styling products, hair dye and the environment damages my locks every single day of my life. I started to use Frederic Fekkai Technican Color Care 3 Minute Mask Conditioner ever since I found it at my local beauty store. The conditioners fragrance fills up my entire bathroom with its frutiness and it is just divine. Its has a very subtle smell therefore it is not overpowering. After using this conditioner my hair feels silky soft to the touch and it looks but feels smooth too! My brush just slides right through my hair without getting tangled or pulling out hair. I would shampoo my hair then add the conditioner and clip my hair and wait a few minute's before rinsing it out. The product rinses clean so it does not leave a residue or leave any build up behind. Its wonderful that this product is made for color treated hair so my hair dye wont be stripped or fade like other conditioner that are sold on the market. To be honest, I will request a sample of just about anything that I know I will be able to use and I receive an awful lot of shampoo and conditioner samples because companies are always trying to promote their latest offerings. I have been doing this for years and this is the only sample of conditioner that I can remember truly disliking. I am ambivalent about a lot of hair products and can take them or leave them, but I wouldn't use Frederic Fekkai Technician Color Care 3-Minute Mask Conditioner again even if it was free- and this is coming from a hard-core penny pincher. I'm a big fan of pink so the packaging and color of the product get a thumbs-up. Unfortunately, the conditioner itself was a total dud. The grapefruit scent is truly awful! I love cleaning products that have a citrus smell, but hair care products- not so much. Worst of all it didn't even condition my hair. I left it on for longer than three minutes but after I dryed my hair it was drier that it it is when I use my usual conditioner. It was not soft at all. This product left my hair feeling the worst it has in years.